As we've headed further into November we can see signs of the end of fall everywhere. One of my favorite symbols of fall is indian corn, also called flint corn, and as we get closer to Thanksgiving we see it in decorations everywhere. It's amazing how varied the different colors can be. I picked up several different ears last week at a local farm stand and got excited about sharing some different activities with the boys. 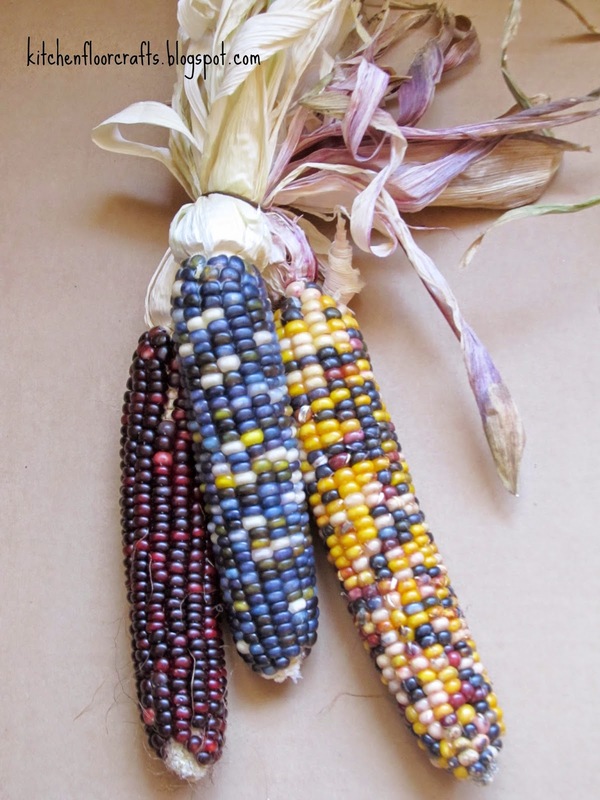 Over the past week we've been enjoying exploring indian corn in many ways. 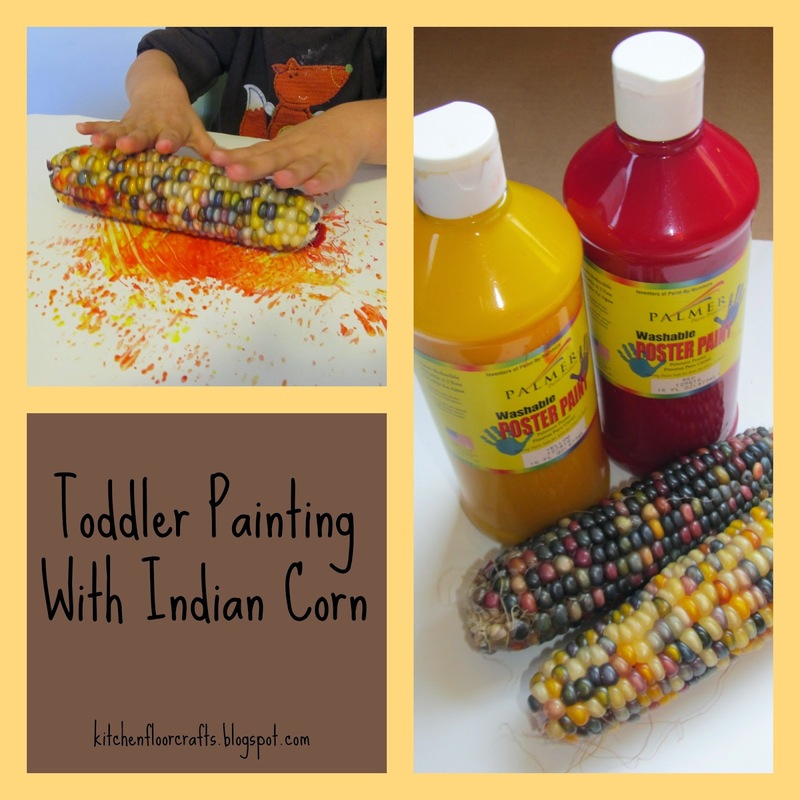 The first activity was one designed for Little Brother: Toddler Painting with Indian Corn. 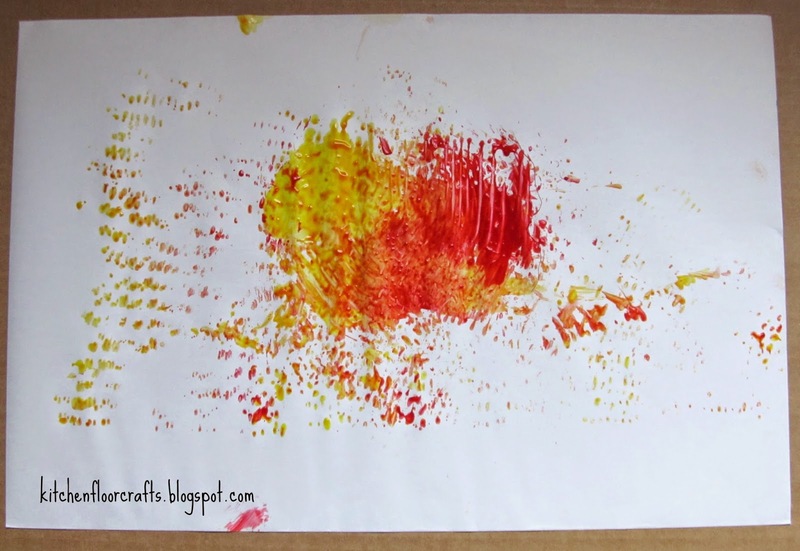 It's always fun to explore different painting strategies with toddlers. 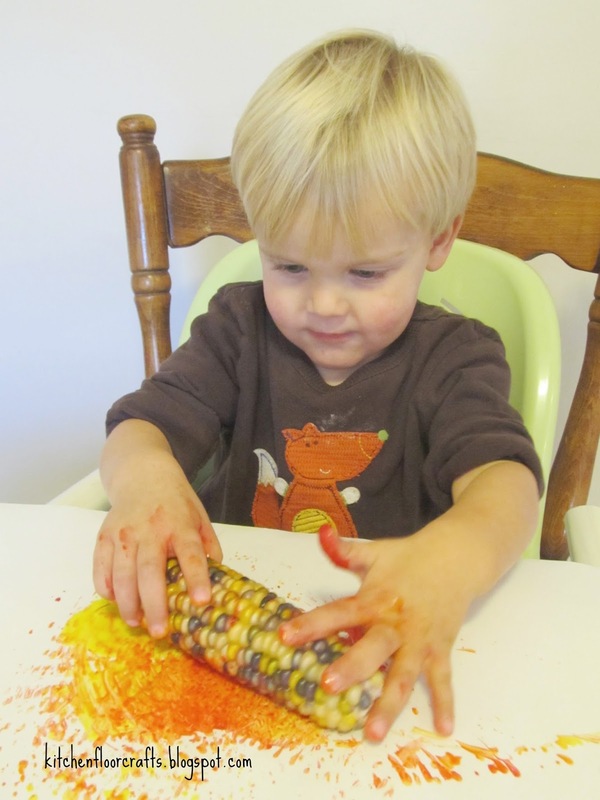 A few of our favorites include splatter painting, comb painting, and feather painting. It allows toddlers the opportunity to paint, create art, and have a sensory experience all at the same time. 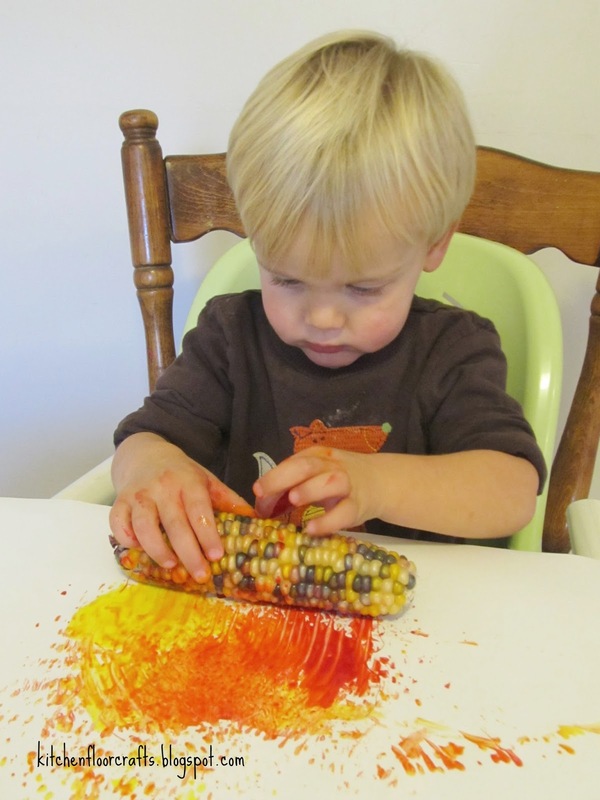 For this painting experience I removed the husks from the corn and put paint onto the paper. 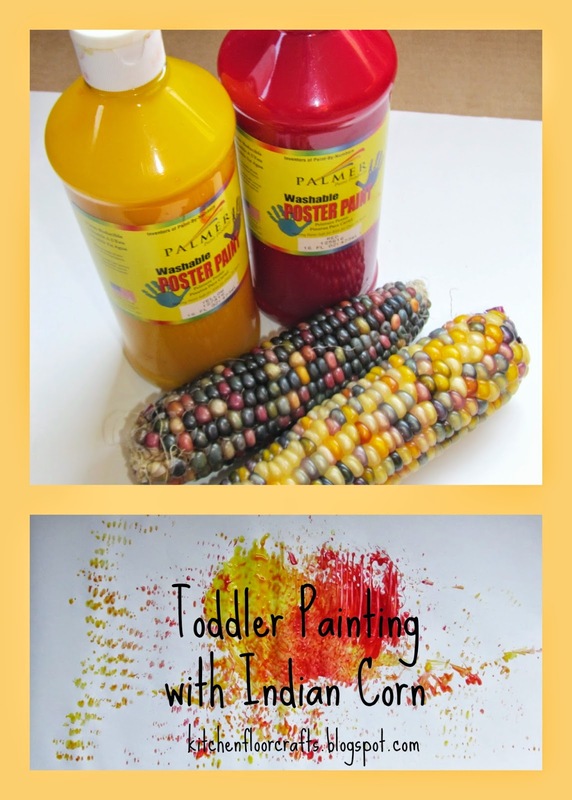 A few weeks ago we used comb painting to create fire over at B-InspiredMama, and loved the mix of red and yellow, so we decided to try those colors again. 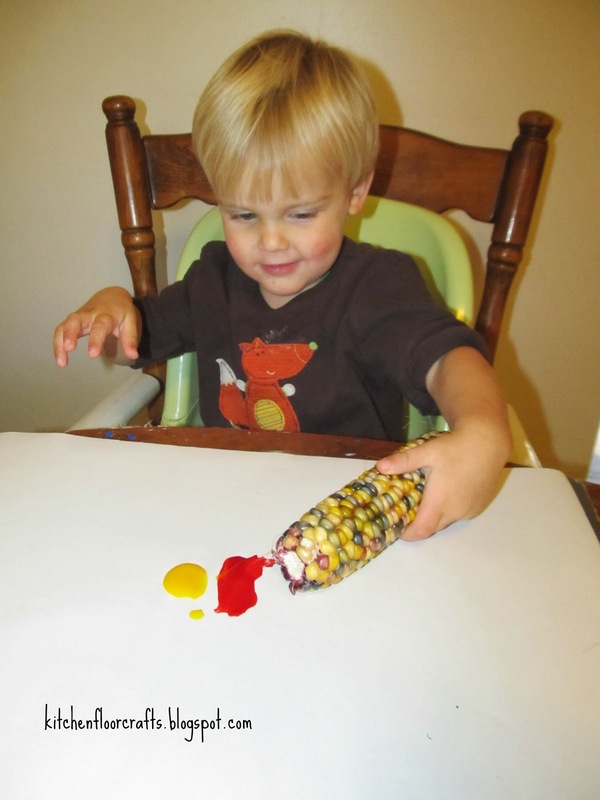 I set Little Brother up at the table and showed him very quickly how he could roll the corn into paint. He eagerly got started. 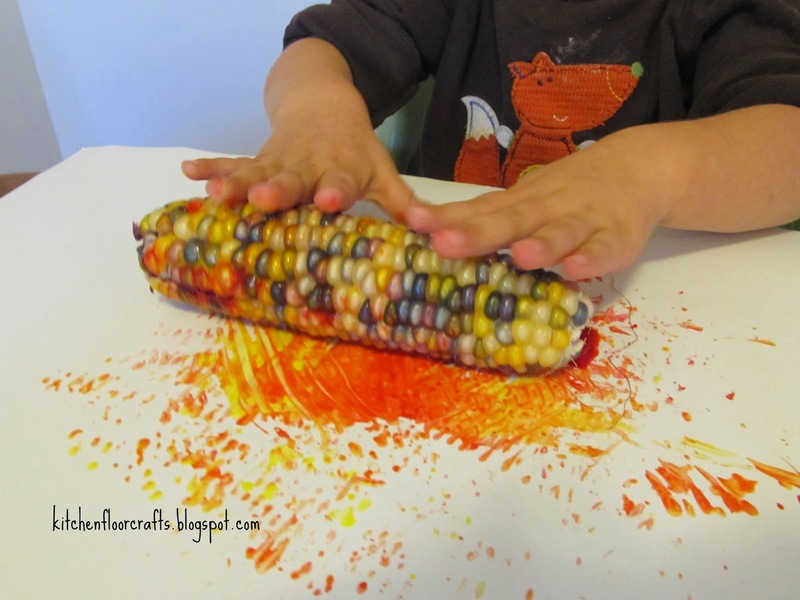 He spent some of the time dragging the corn through the paint but then he started rolling the cob through the paint. He also enjoyed feeling the cob and looking at the individual kernels. His finished art work was very colorful! We rinsed and dried the cobs to use for another project. 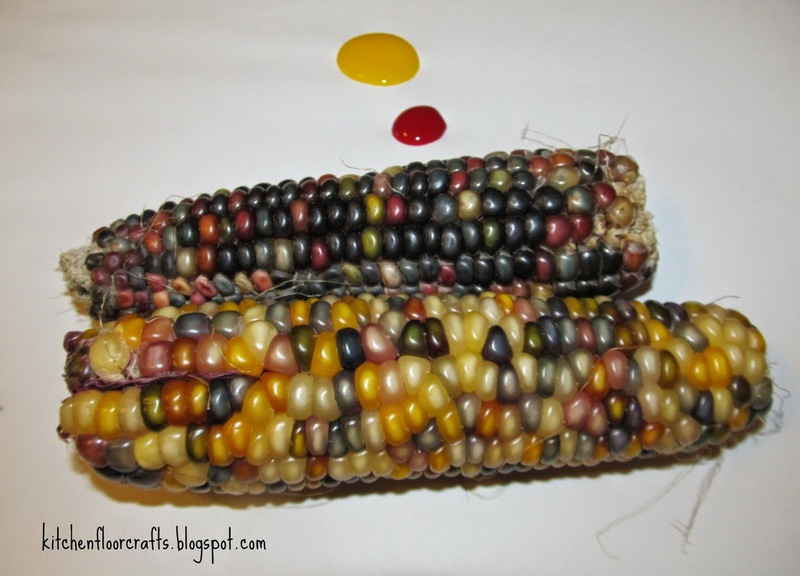 We still have some other projects to share, but we're curious, what ways do you use or decorate with indian corn?